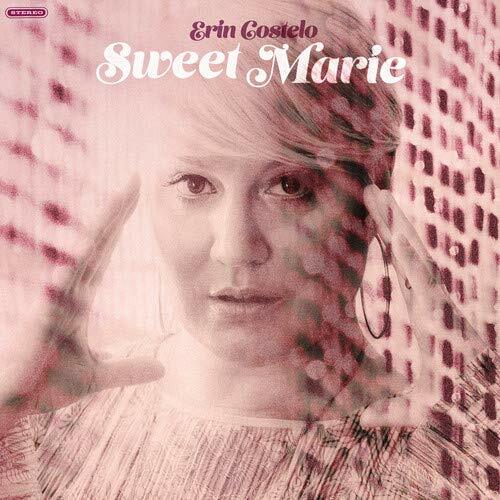 Award-winning Canadian soul singer Erin Costelo releases her album, Sweet Marie. Recorded in 10 days in a timberframe home on the ocean in Little Harbour, Nova Scotia, Costelo is backed by an ace group of players on this album, including Glenn Milchem on drums (Blue Rodeo), Anna Ruddick on bass (Randy Bachman, Ben Caplan), Leith Fleming-Smith on organ (Matt Mays, Hawksley Workman) and her long-time partner, Clive MacNutt, on guitar. Taking inspiration from sources as varied as Ryan Adams and Randy Newman, Sweet Marie is a genre-defying album that sounds at once timeless, timely and completely fresh. The album finds Costelo looking at a world and an industry that pushed her to the edge of ending her musical career – and pushing back. Pulsing with a confident and cathartic energy, her incredible voice, drawing comparisons to such icons as Nina Simone and Carole King, soars even as her songs dive deep.